Atalanta have scored in each of their last 7 matches in Serie A.
Lazio have drawn their last 4 matches in Serie A. 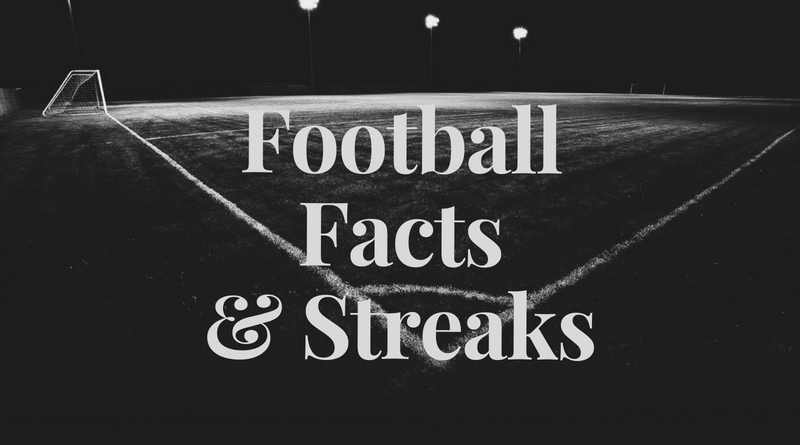 67% of Atalanta’s matches had over 2.5 goals scored in Serie A.
Lazio have scored in each of their last 6 away matches in Serie A.
Atalanta have failed to score in 43% of their home matches in Serie A.
Lazio have scored in 86% of their away matches in Serie A. 35% of Atalanta’s conceded goals occurred after the 75th minute in Serie A. Athletic Bilbao conceded at least 1 goal in 75% of their home matches in La Liga. Alaves conceded at least 1 goal in 71% of their home matches in La Liga. Athletic Bilbao have scored in 71% of their away matches in La Liga. Alaves have scored 33% of their goals after the 75th minute in La Liga. 71% of Athletic Bilbao’s points have been earned at home in La Liga. 41% of Alaves’s conceded goals occurred after the 75th minute in La Liga. Athletic Bilbao conceded at least 1 goal in 100% of their away matches in La Liga. Hobro IK have conceded the opening goal in 74% of their matches in Superligaen. AGF Aarhus conceded at least 1 goal in each of their last 8 matches in Superligaen. Hobro IK have failed to win in their last 9 away matches in Superligaen. Hobro IK have lost 67% of their away matches in Superligaen. AGF Aarhus conceded at least 1 goal in 89% of their home matches in Superligaen. Hobro IK conceded at least 1 goal in 100% of their away matches in Superligaen. 81% of Hobro IK’s points have been earned at home in Superligaen. AGF Aarhus conceded at least 1 goal in each of their last 7 home matches in Superligaen. Hobro IK have failed to score in 50% of their home matches in Superligaen. Hobro IK have lost their last 4 away matches in Superligaen. Nottm Forest have scored in 90% of their away matches in Championship. Nottm Forest have been undefeated in their last 7 away matches in Championship. Derby County conceded at least 1 goal in each of their last 6 home matches in Championship. Nottm Forest have scored in each of their last 6 away matches in Championship. Valenciennes have scored 32% of their goals in the first 15 minutes in Ligue 2. Metz have scored 37% of their goals after the 75th minute in Ligue 2. Valenciennes have scored 73% of their goals in the first half in Ligue 2. 76% of Valenciennes’s points have been earned at home in Ligue 2. Metz have won 67% of their away matches in Ligue 2. Metz have scored in 89% of their away matches in Ligue 2. Valenciennes conceded at least 1 goal in 78% of their home matches in Ligue 2. Metz have been undefeated in their last 4 away matches in Ligue 2. FC Köln have scored 2 goals or more in each of their last 4 matches in II Bundesliga. Magdeburg have failed to win in their last 8 matches in II Bundesliga. FC Köln have scored in 100% of their home matches in II Bundesliga. 39% of Magdeburg’s conceded goals occurred after the 75th minute in II Bundesliga. 63% of FC Köln’s conceded goals were conceded at home in II Bundesliga. Magdeburg conceded at least 1 goal in 78% of their home matches in II Bundesliga. FC Köln have scored in 88% of their away matches in II Bundesliga. Magdeburg have scored in 71% of their away matches in II Bundesliga. FC Köln have won 75% of their away matches. FC Köln have won their last 4 matches in II Bundesliga. Magdeburg have failed to win in their last 9 home matches in II Bundesliga. FC Köln conceded at least 1 goal in 88% of their home matches in II Bundesliga. Fenerbahce have conceded 2 goals or more in each of their last 3 matches in Super Lig. 42% of Erzurum BB’s conceded goals occurred after the 75th minute in Super Lig. Fenerbahce conceded at least 1 goal in 71% of their home matches in Super Lig. Erzurum BB have scored 62% of their goals in the first half in Super Lig. Fenerbahce have scored 71% of their goals at home in Super Lig. Erzurum BB conceded at least 1 goal in 75% of their home matches in Super Lig. 71% of Erzurum BB’s points have been earned at home in Super Lig.